Discussion in 'Sheaths & Such' started by BellaBlades, Apr 2, 2018. 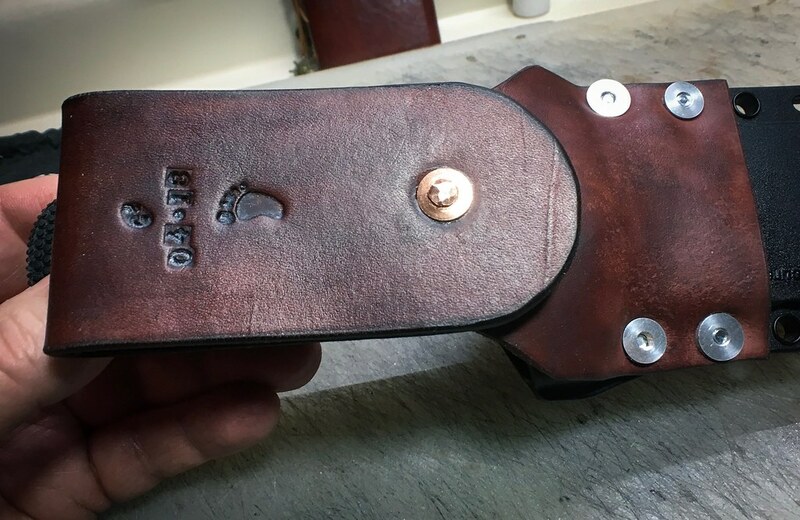 Does anybody have an idea of where I can find something to attach to the sheath to have the option of dangling from a belt instead of attached tight with the current belt loops. If that makes any sense. Well hopefully someone can recommend or make us an attachment. I don't know the knife or sheath you are looking for a dangler for Bella but @NCprotector ... I have a couple Winklers and the Sagewood dangler fits perectly ... the medium is the one I got that fits my Winkler sheaths. they may fit yours also @BellaBlades ... if you measure the holes center to center where they would mount you can contact them and ask or if they fit the same as the danglers I have I can let you know. And a Universal Adapter : This is a blank adapter without mounting holes. Line up your eyelet mounting holes, mark your holes and drill them out. Maximum mounting hole width (center to center of eyelets) is 2.875". And the Winkler Hunting knife I have pictured in that post ... it was tight to draw or reinsert into the sheath ... if you scroll through the post you will see a second set of pictures showing where I added a rubber washer between the sheath to give it just a bit more room and it draws and inserts great now. How good are you with kydex and such? @Nicholas Crawford put together a few simply carry options for my modified spec B&T. Basically just unbolt the current carry system and bolt on the dangler or a loop for horizontal carry. He did provide spacers for the dangler as well to create less interference between the knife handle and dangler plate. 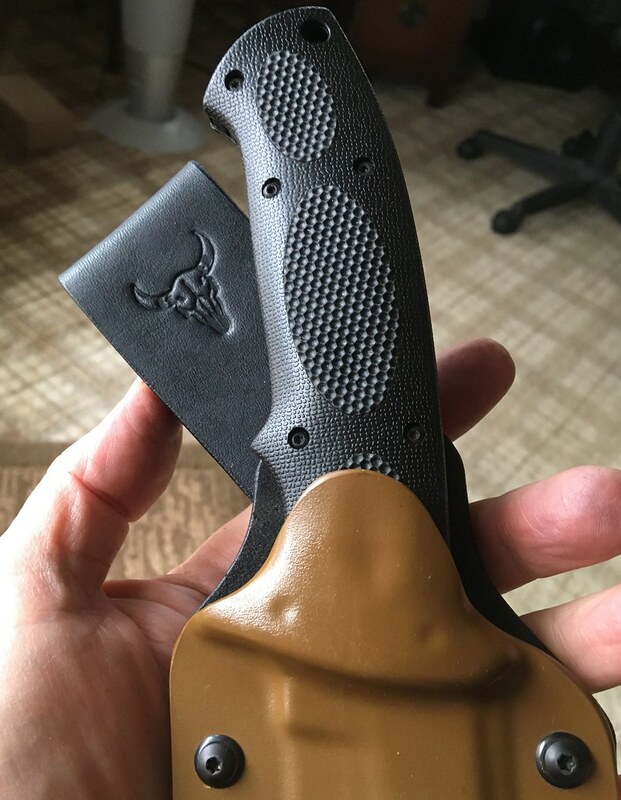 I'm strongly considering doing the same thing for a kydex sheath for my swamp rat ratweiler. I currently have a paracord setup until I figure out how to carry the ratweiler but depending on how the balance of the knife is set you can make this setup a quick dangler system. I learned this from a bushcraft video of different ways to carry a neck knife just using the neck chain to loop around various items (belts, bags, molle, etc). Small 8" OA, Large 10.5" OA. 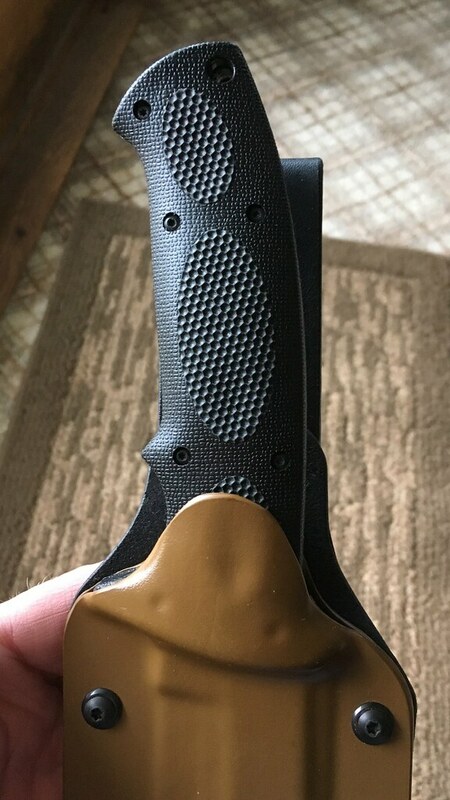 Made to fit Buy Brown kydex. Let me Read this in a bit. Thank you both for the help. and the sheath will swivel like so, you can also put a belt loop on that first piece of leather if you need extra retention. Eagle Scout, Man with no name, Kiah and 1 other person like this. Agreed, on smaller blades that are handle heavy tip over does happen. Very nice Gary. That looks perfect. Thanks for the replies. 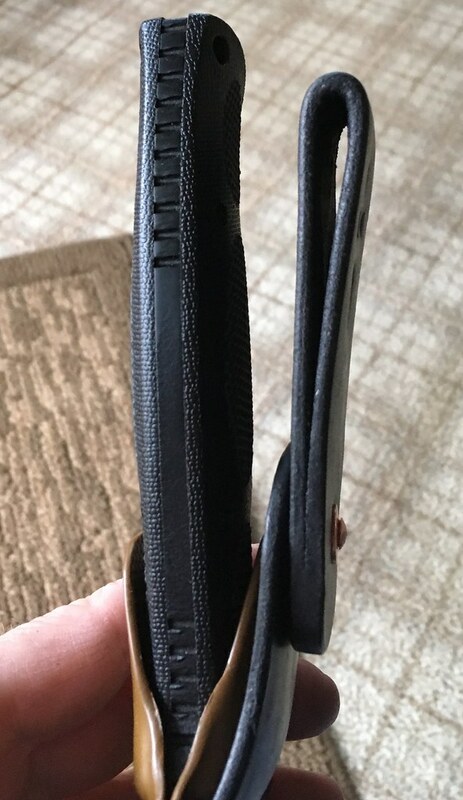 Does anyone know if there is a thinner (as in width) kydex sheath for Winkler Belt Knife? 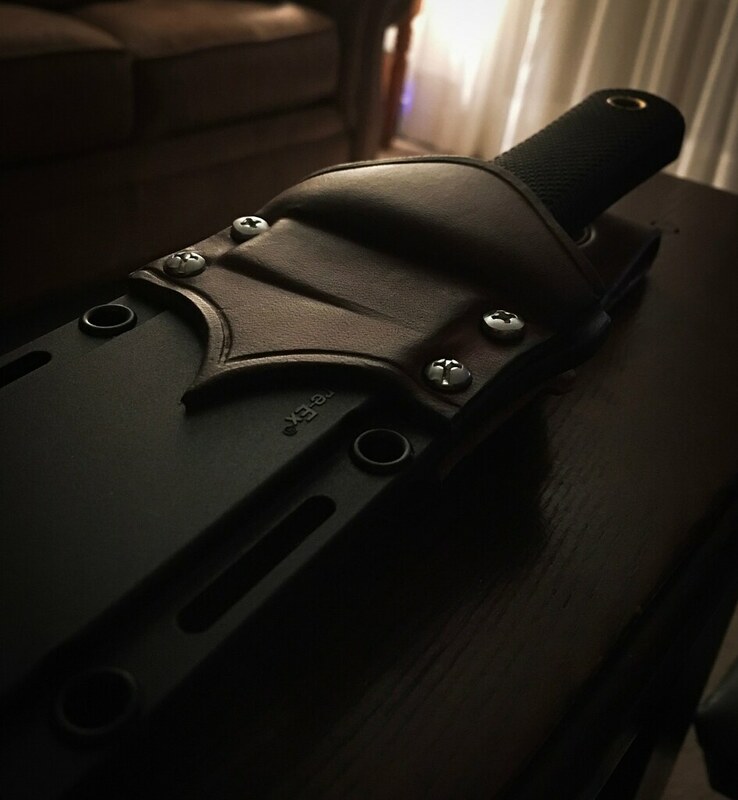 I feel as if the leather sheath it came with is too wide and I would like to have something more compact. Thanks. Here's a blurb from a forum member who does excellent work with a product that does what you want. I got one on my ESEE 4 to try out and love it. Going to put one on the GSO 4.7 sheath next. 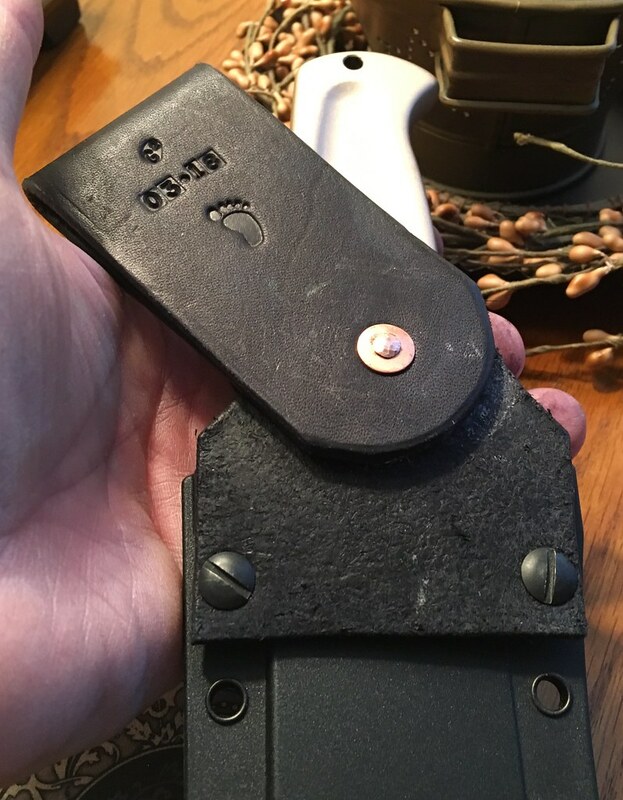 "A few years ago I developed the "Universal Kydex Extension" as an accessory to lower the carry-height of knife sheaths on the hip so that the handle is not above the waist and poking users in the ribs or impeding the belt of a back-pack. Such accessories are common but I've not found one quite as versatile as this. 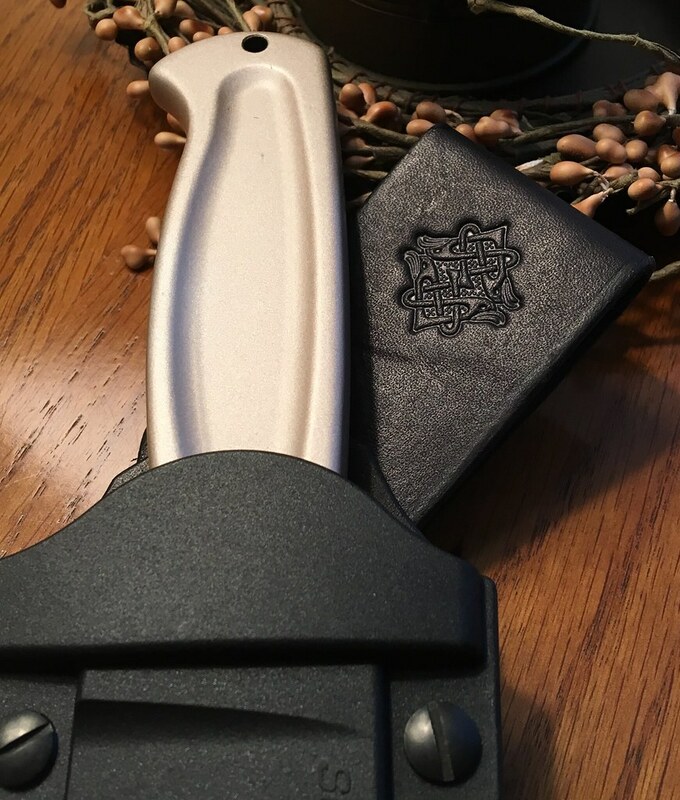 The Universal Kydex Extension 2.0 is designed to mount to virtually ANY kydex or plastic sheath with holes spaced either 3/4" o.c. or 1.5" o.c. 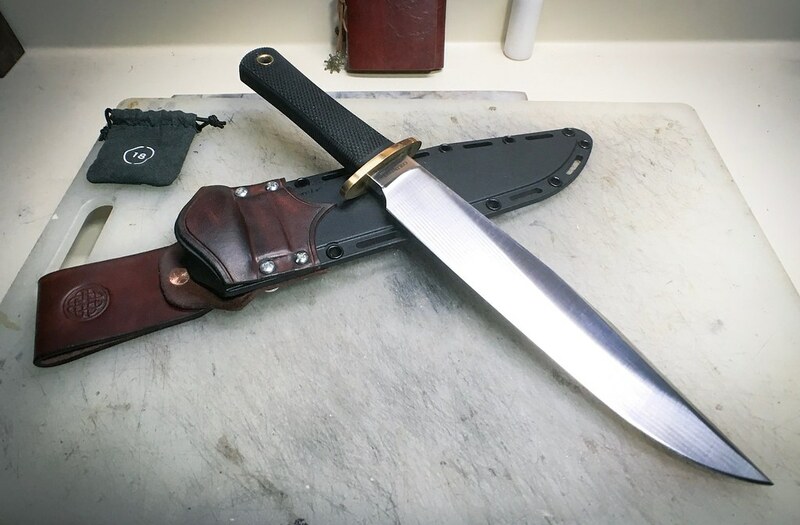 - this includes sheaths that come with various models from TOPS, Becker, Kabar, ESEE, Ontario, Survive!, Gerber, Boker, Buck, Bradford, Azwelke, Mashed Cat, Buy Brown, 710 Custom Design, and so on. The extension works on knife-models as small as the Survive! NeckerII or as large as the Busse FBM and beyond. 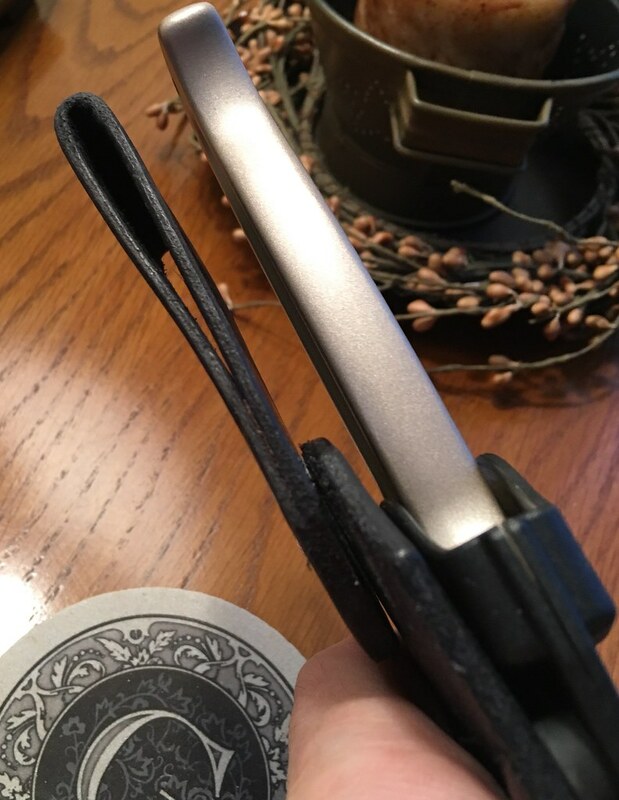 No matter your knife model, if you have a sheath that you think might be able to accommodate this extension, you may find it well worth your while to try it out". 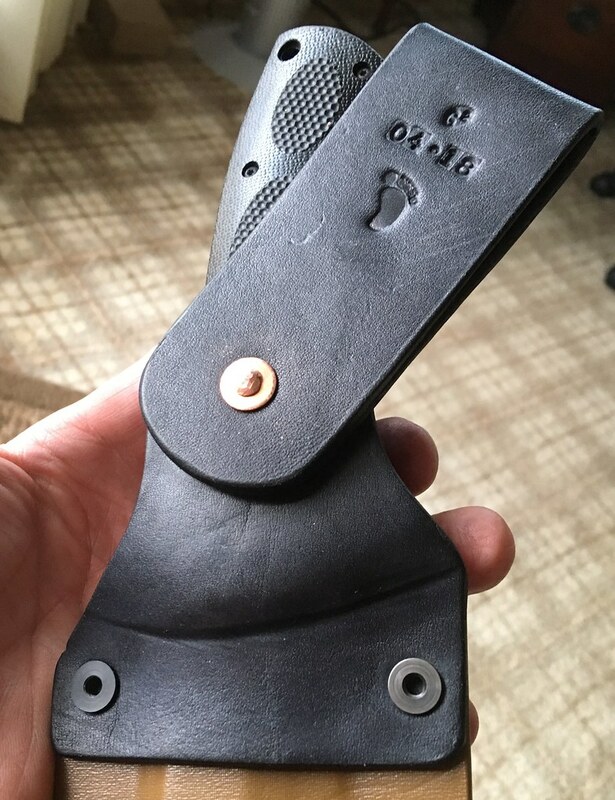 These are the nicest kydex attachments Ive had. Very good stuff. It will fit whatever a tek lok fits. 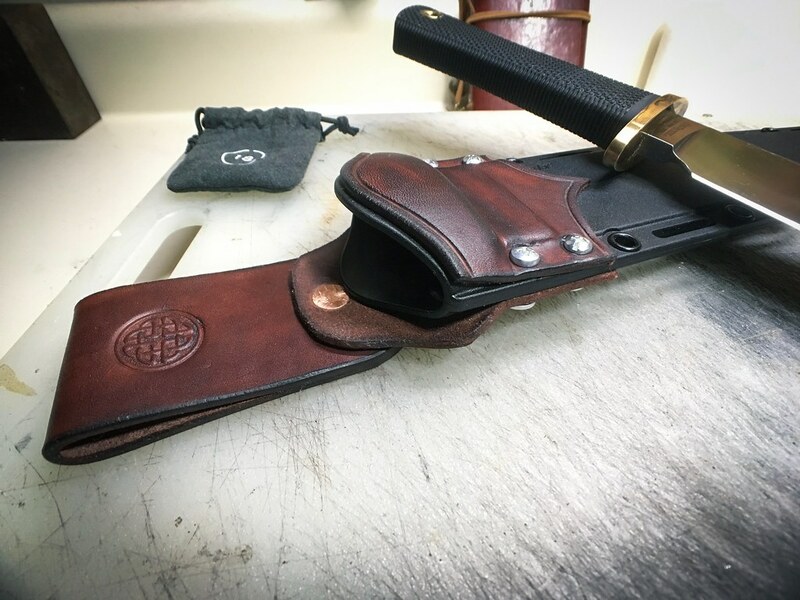 Recently did a mod to a Cold Steel Trailmaster sheath, added a front mantle to set it off and dyed the leather a burgundy colour also to provide some contrast, worked well on this large knife. Cryptyc, Higgs Particle steel, ty_higg and 2 others like this. 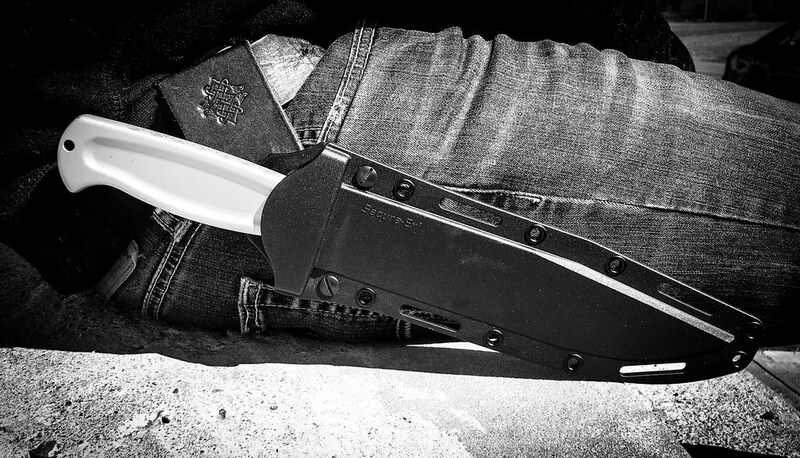 also nice knife too, rugged rascal !